Steve and I stuffed ourselves silly during a full day cooking course at Chiang Mai Thai Farm Cooking School. 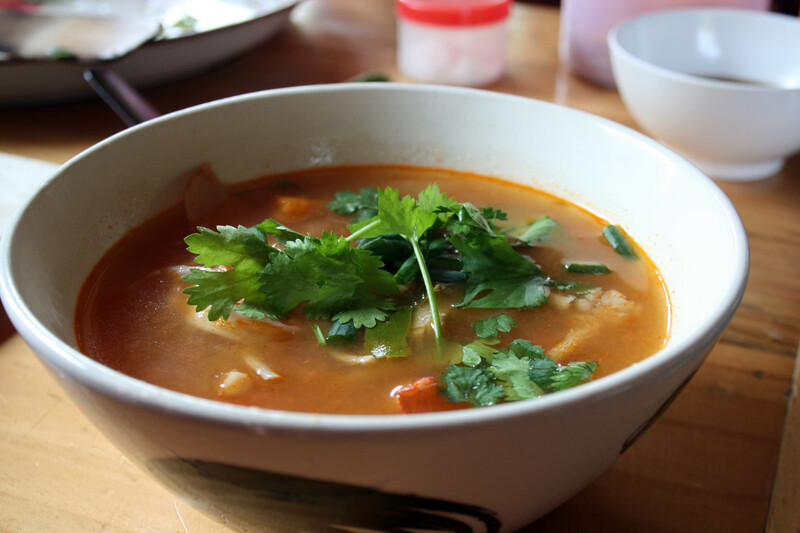 We ate so well in Chiang Mai….mostly we ate tons of Khao Soi (Khow Soy), a delicious yellow curry with egg noodles, chicken, fresh red onion, crispy noodles and lime. Between stuffing ourselves to oblivion we enjoyed plenty of mojitos at Griffin Bar. I have a sweet spot for Griffin Bar…Egg and his friends are always welcoming and they don’t mind practicing their English. They’ll help you plan a moto trip, whip up a mean mojito (for only 50 Baht), and if you’re lucky they’ll treat you to some live music. Griffin Bar’s street front is completely nondescript and without their sign advertising 50 baht mojitos you probably wouldn’t give it a second look(on Soi 7 off of Moonmaung). Before you know it you’ll be helping Egg hold up the bar and you’ll be many mojitos deep…and each one is stronger than the last. 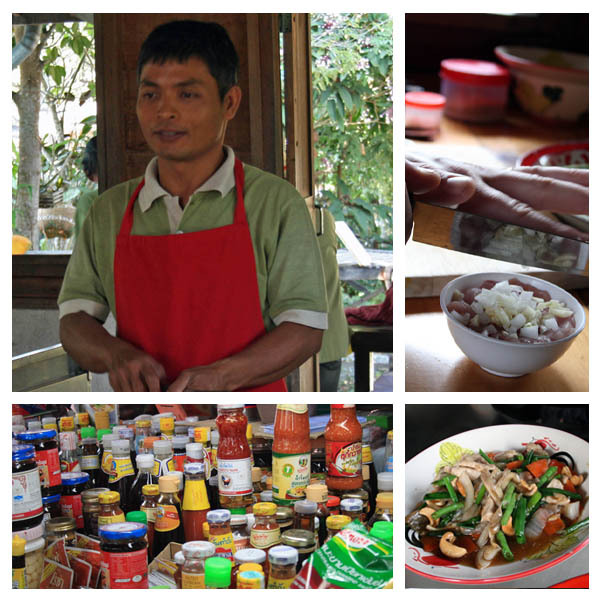 Sawat, our cooking instructor at Chiang Mai Thai Farm Cooking School, was AWESOME!!! He was hilarious, his english was nearly perfect and he was patient…far more patient than I would have been. They had a menu of about 18 different dishes so we could choose our favorites to learn how to make. Everything was delicious. 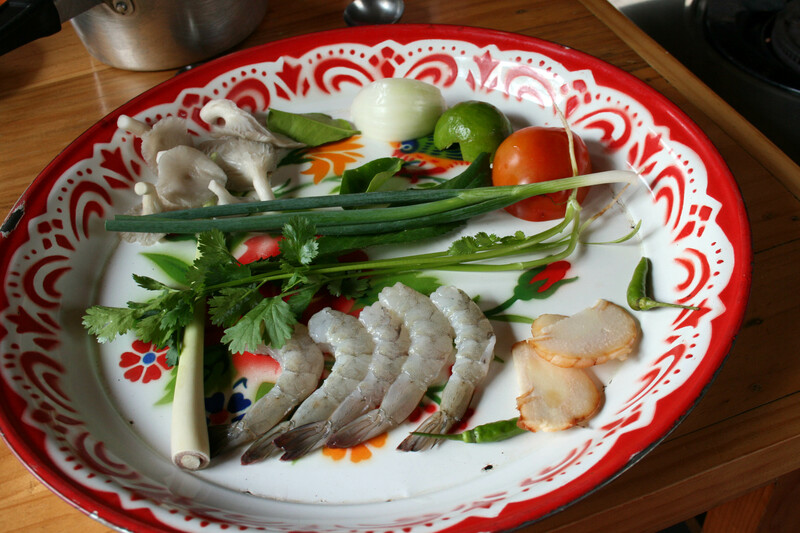 For about $30-35 a person we each learned how to make 6 dishes including how to make our own curry paste and Sawat made one of our favorites….green papaya salad. 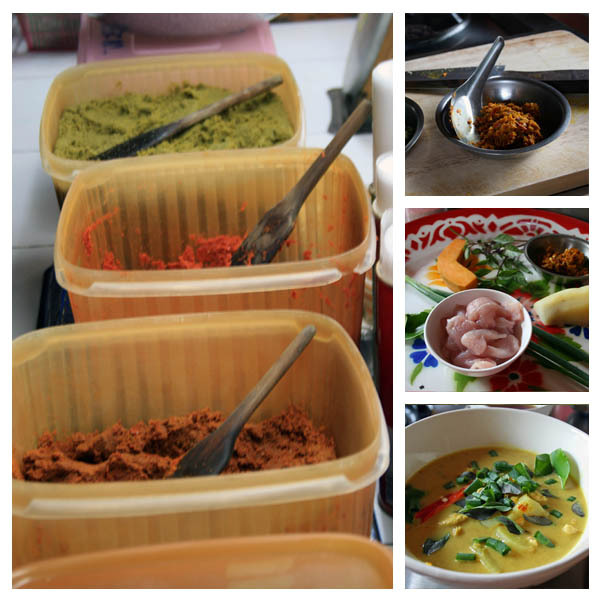 From the top left: curry paste at the market, my homemade curry paste, yellow curry ingredients and the finished product. We were stuffed after the first three dishes. Steve made: green curry (the paste and the dish), tom yum soup, chicken basil stir fry, fried spring rolls, and bananas in coconut milk. And I made chicken coconut galangal soup, yellow curry (the paste and the dish), cashew chicken, fried big noodles, and mango sticky rice. Here are some more pics from our day of cooking class. 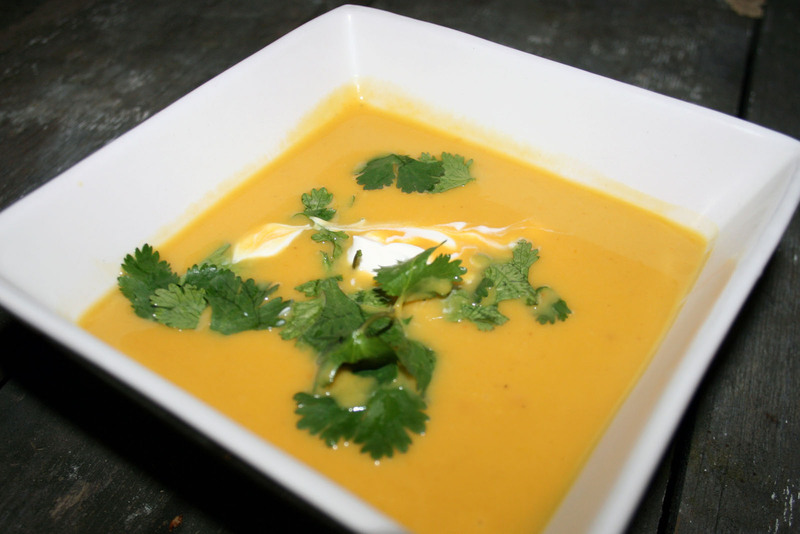 For all of our dishes we used super fresh ingredients from the market and their garden. 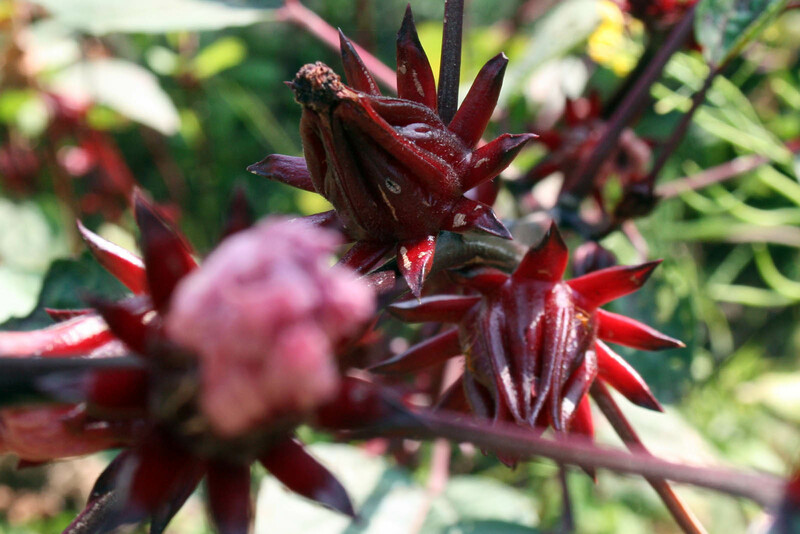 Roselle at the cooking school’s garden. If anyone is interested in any of the recipes just shoot me a message and I’ll forward a copy to you. 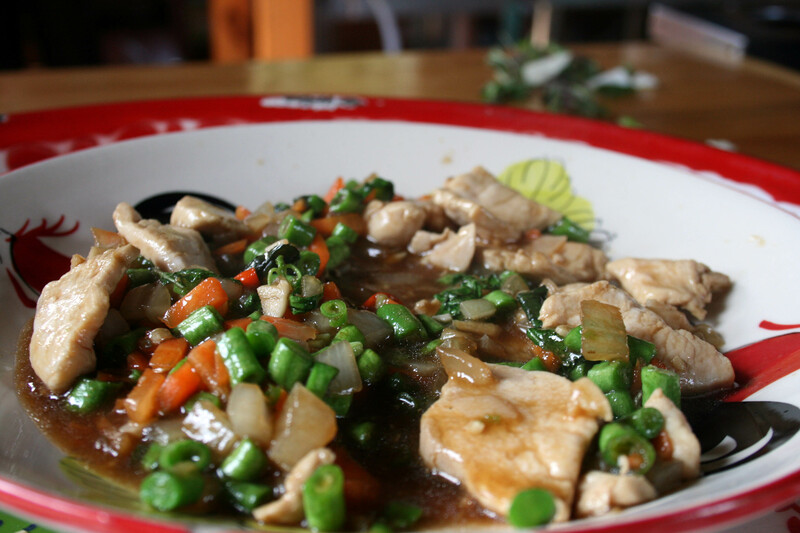 This entry was posted in Dinner, Eat, Soup, Travel and tagged cashew chicken, Chiang Mai, Chiang Mai Thai Farm Cooking School, cooking class, cooking course, curry paste, delicious food, good value, green curry, organic farm, yellow curry by autumnadams4. Bookmark the permalink. AWESOME!!! Authentic to the moon and back!